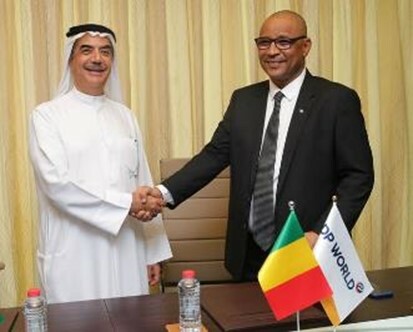 Global trade enabler DP World has signed a 20-year concession with an automatic 20-year extension with the Republic of Mali to build and operate a 1000-hectare modern logistics hub outside of Bamako, the capital and largest city of Mali. The multimodal logistics platform, Mali Logistics Hub (MLH), will have inland container depots (ICD) and Container Freight Stations (CFS) that will facilitate the import and export of goods. Hindustan Infralog Private Limited (HIPL), a joint venture between DP World and the National Investment and Infrastructure Fund (NIIF), is pleased to announce that the transaction to acquire 90% stake in Continental Warehousing Corporation (Nhava Seva) Ltd in India has now closed. DP World reiterated today that its concession agreement for the Doraleh Container Terminal (DTC) remains in force, warning that the government’s illegal seizure of the facility doesn’t give the right to any third party to violate the terms of the concession agreement. 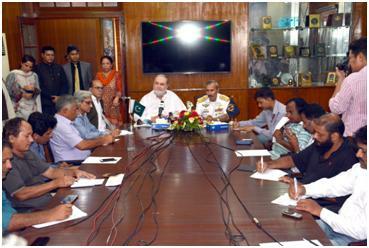 As a demonstration of strong support to raise major water reservoirs, the Chairman KPT Rear Admiral Jamil Akhter responding to the positive gesture of Chief Justice of Supreme Court, Honorable Justice Saqib Nisar, has announced that officers and employees of Karachi Port Trust will also contribute towards the national cause through donation of their pays. Mr. Rizwan Ahmed, Chairman of Pakistan National Shipping Corporation (PNSC) is receiving charter of demands for the years 2018-20 from members of workers’ union (CBA). Photo shows Executive Director (Administration), PNSC, Brig (Retd) Rashid Siddiqi along with others on the occasion. A new electronic trade portal that will enable trade and make life easier for business has been launched in the Dominican Republic by Dubai Trade World (DT World). 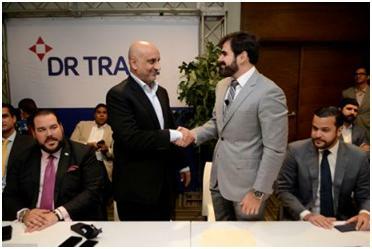 As a subsidiary of DP World, DT World will provide its ‘Mawani’ system that connects logistics services onto one platform, as well as management and consultancy services to DR Trade – a new joint venture company formed by DP World Caucedo and the Haina International Terminal. A range of food donation drives were organised during this year’s Holy Month of Ramadan by global trade enabler DP World across its network to benefit more than 120,000 people in the UAE, Senegal, Indonesia, Algeria, Djibouti, Egypt, Mozambique and Republic of Somaliland. 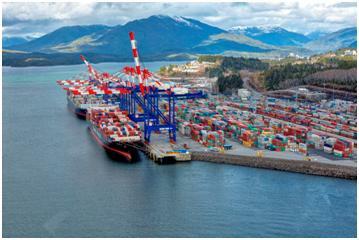 The Port of Prince Rupert and DP World have agreed on terms of a project development plan that outlines the next phase of expansion for the DP World Prince Rupert Fairview Container Terminal. The Phase 2B expansion will increase annual throughput capacity at Canada’s second largest container terminal to 1.8 million TEUs (twenty-foot equivalent units) when complete in 2022. 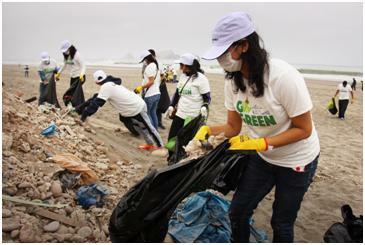 Global trade enabler DP World has become the first company in its sector to join the World Ocean Council (WOC) as part of its leadership journey to actively engage in the protection of the world’s oceans. By becoming a member of the growing international multi-industry alliance on “Corporate Ocean Responsibility” DP World will commence, enhance and advance our role as a responsible leadership company.